When Melanie at The Film Detective offered me the chance to watch and review GORGO for them, I immediately said yes! 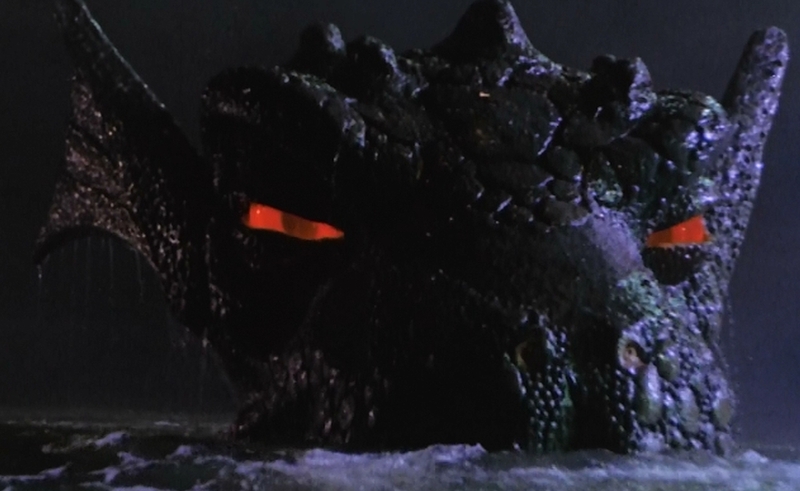 GORGO was one of my favorites growing up as a little Monster Kid, a Saturday afternoon staple on Boston’s Channel 56, and the opportunity to see it without all that UHF “snow” was too much to resist (and if you don’t know about The Film Detective, I’ll clue you in a bit later). Producers Frank and Maurice King were a pair of slot machine magnates turned low-budget movie moguls who had success with 40’s films noir like WHEN STRANGES MARRY (with Robert Mitchum), DILLINGER (making a star out of Lawrence Tierney), and the Joseph H. Lewis classic GUN CRAZY . 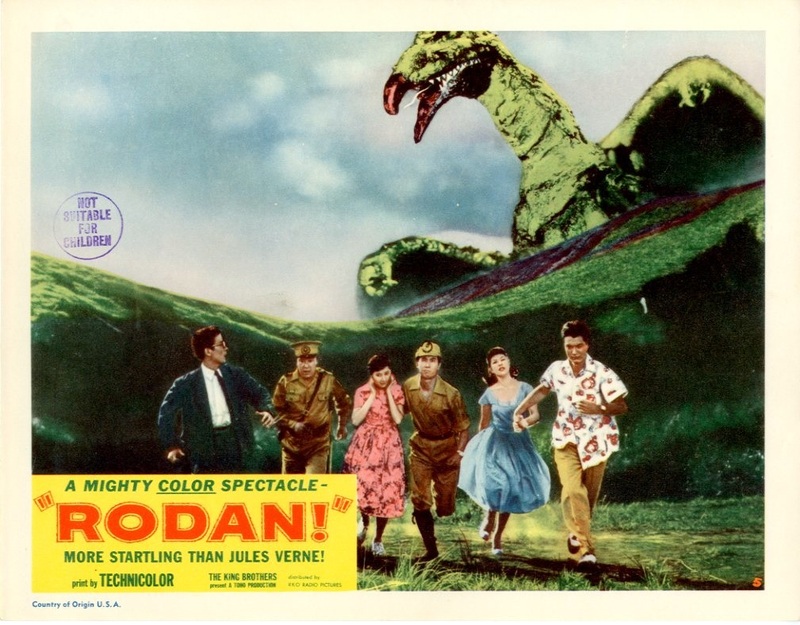 When the stateside release of Japan’s Giant Monster Movie GODZILLA, KING OF THE MONSTERS proved a hit, the Kings decided to secure the American rights to another kaiju eiga epic, RODAN! THE FLYING MONSTER . Box offices across the country filled with more coins than any old slot machines, so the Kings set out to make a Giant Monster saga of their own, using the rubber suit and miniature set techniques of kaiju eiga, and throwing a touch of KING KONG into the script for good measure. 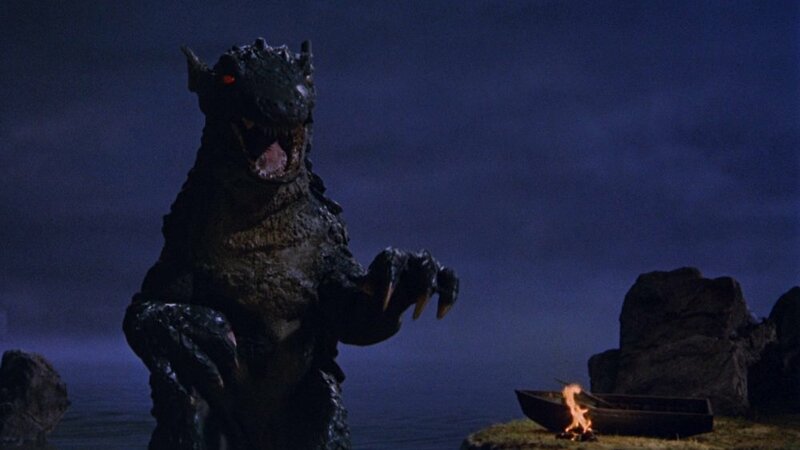 GORGO is a simple but effective Monster Movie that’s fast-paced fun for the whole family. The special effects of the pre-CGI era hold up surprisingly well, thanks to some clever editing and camerawork. 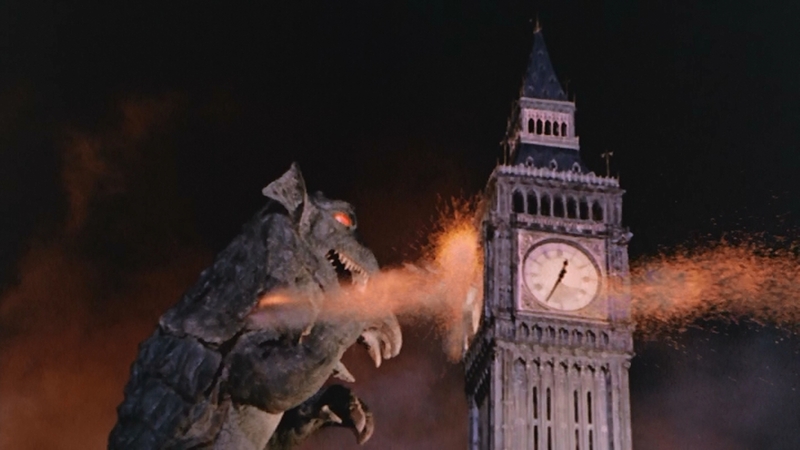 There are plenty of shots of rampaging destruction (complete with panicked citizens running the streets and futile military retaliation), as London Bridge comes crumbling down, Big Ben gets toppled, and Piccadilly Circus gets blitzed by Mama Gorgo. Director Eugene Lourie was no stranger to Giant Monsters, having helmed both THE BEAST FROM 20,000 FATHOMS and THE GIANT BEHEMOTH. Stars Bill Travers and William Sylvester weren’t exactly household names, but both make fine leads. 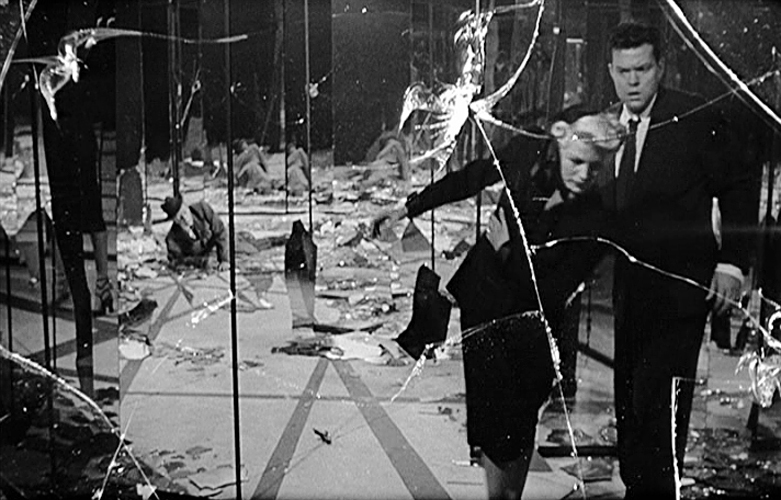 Travers starred in one of my favorite British comedies, THE SMALLEST SHOW ON EARTH, and later achieved fame opposite wife Virginia McKenna and Elsa the Lioness in BORN FREE, while Sylvester headlined the British noirs HOUSE OF BLACKMAIL and A STRANGER CAME HOME before making his best-known appearance as Dr. Floyd in Stanley Kubrick’s 2001: A SPACE ODYSSEY. Special mention should be made to child actor Vincent Winter as an Irish villager who stows away aboard Joe and Sam’s ship, and has a special bond with Gorgo. As for The Film Detective , it’s a streaming service founded in 2014 specializing in hard to find films and TV, and can be viewed online, and on the SlingTV, Amazon Fire, Roku, and AppleTV platforms. GORGO can be enjoyed there beginning February 11th, and I highly recommend it to all you Giant Monster Movie Lovers out there. After watching, take a look around… you might discover some other hidden gems on The Film Detective! Thanks for the heads up on The Film Detectives. Looks very cool. Sure to find some goodies to watch on that. Gorgo looks crazy fun. I’ve seen that amazing poster before but not the film. I too love The Smallest Show On Earth. I look forward to it when you do Gary. 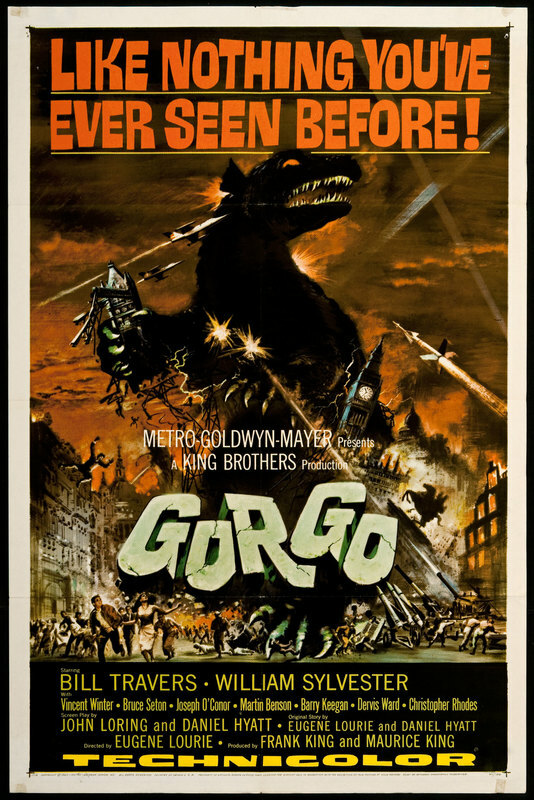 The Film Detective really does have some great titles, and “Gorgo” looks like one of them. Thanks for sharing your thoughts! Always been a fave of mine; I’m glad I got the opportunity to re-view (and review) it. There’ll be more ‘Film Detective’ posts in the very near future… stay tuned!